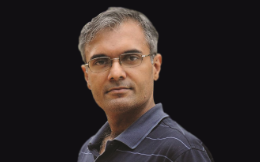 Anand is founder and CEO of Gramener, a leading Data Science company.Anand provides the technology leadership and strategic direction to the organization. Anand and his team explore insights from data and communicate these as visual stories. He has an MBA from IIM Bangalore and a B.Tech from IIT Madras. He has worked at IBM, Lehman Brothers, The Boston Consulting Group and Infosys Consulting. He blogs at S-ANAND.NET. Anand is a data geek and his affair with programmatically analyzing data began back in the mid-nineties when he was in college at IIT Madras. Taking off from there, Anand was drawn into the maze of data and his initial tools were Linux based grep, sed and awk. He then moved on to Shell scripts and PERL. How to Visualize Machine Learning Models?